Looking for creative date ideas? Or romantic ideas for Valentines Day? Or romantic anniversary ideas? Well, welcome - you found us! A romantically fun and creative treasure hunt is a great way to tell someone that they are special - especially during Valentine's Day.. It's a great way to utilize your romantic poetry skills (for those that like to write romantic poems) as well as your creative romantic juices to tell your loved one how special to you they really are. 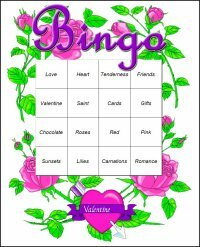 We have incredible resources for planning something special this year - and not just on Valentine's Day...after all, we should express our hearts to those we love all year long! 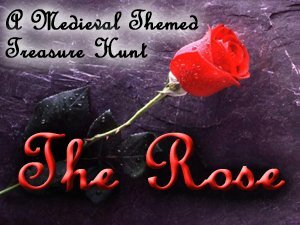 THE ROSE - A romantic treasure hunt package to DAZZLE your loved one! * Retrace the steps of your relationship - Have them revisit the site of your first/memorable dates, old houses you used to live in, places you fell in love. Make it chronological to build as your relationship grew. For those places that may be out of reach (i.e. out of state), but that you would still like to include, try postcards or photos to be picked up in appropriate locations. * Their (more likely HER) favorite romantic movie. Have things happen to her similar to how they happened to her counterpart in the movie. Let her live out some memorable scenes. The whole treasure hunt could be connected by these scenes that she gets to live out. * Casanova - research some information on this legendary lover. Coordinate everything with a French theme. * Begin with he/she finding a note in a bottle (in the water or washed ashore) from a lost lover at see. The note is to his/her lover they left behind - your participant must reunite these two lovers. If you are clever enough, you could write a whole story on this. * If he/she has a favorite novel, let them use it as part of their clues. 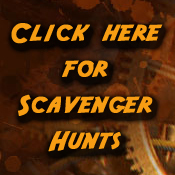 Incorporate the story of the book into the treasure hunt so that they can live out their favorite literary character. * Do a 'poor man's' honeymoon. Wherever you went for your honeymoon, you could recreate the scene and activities. Get some postcards from the location - or make your own on the computer. 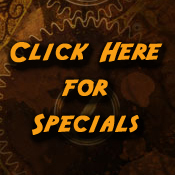 You can order travel guides free - or get them from a local travel agent. Where did you eat? Is there somewhere you could go that would remind them of that place? Etc. 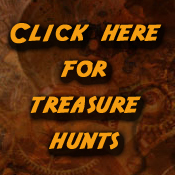 * Involving the interest of the person going on the treasure hunt. For example, if they like horses or woodworking, fishing, beaches, sunsets, dolphins, scrapbooking, etc. - incorporate these into the hunt. 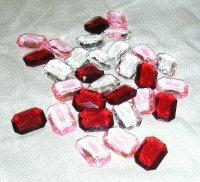 Valentine Treasure Gems - CLICK HERE! * If you as a couple have a movie that is 'yours' (i.e. your first date, a memorable date, etc.) give a copy of that. If you are clever with computer graphics, you can download the movie poster of that movie and put your own faces in it! * Have the premise be to look for 'the most beautiful thing in all the world' - the final object is a mirror of which they can look into. * Have the prize be a location, like a special place to meet for dinner. Set up a hot dinner on a beach. Get friends in on it and have them wait on you. Or at a park. Or even a center divider of a major boulevard (yes, I did that once.) It was fun, but kind of noisy because cards were constantly honking and smiling as they passed. Still, get creative. Rent a generator and watch a romantic movie on the beach (TV and VCR) - be sure to bring blankets. * Unravel yarn throughout the whole house, with little treats and cards along the way. The person must wind up the yarn in a ball as they travel throughout the house, being careful not to pull on it or they will lose the placement of their little prizes. Make the best prize at the end. * Give a card a day for a couple of weeks/days leading up to Valentine's Day. There could be a small clue in every one. They could string all the words together from every card to make a secret message at the end. * It wasn't for Valentine's Day, but it definitely could have been. Soon after we got married, my wife, having just got home at 9:00 at night from a wedding she was coordinating, came in the door expecting to just sit on the couch and avoid looking at the kitchen. When she got home, though, I had made a sign on the door saying "Welcome to Sherwood Forrest." In the living room, I had pushed all the furniture back and laid a blanket on the floor with drinks, cheese and crackers and little goodies. The neatest part was when I took a few DOZEN strings of black thread (varrying lengths) and taked them to the ceiling over the blanket. To these strings I taped lots of fall colored leaves I cut out of construction paper - with spaces between each leaf. Because the room was dimly lit (lanterns only) You couldn't see the thread, only the 'falling' leaves. I then spread a few dozen other paper leaves about the edge of the blanket (with the falling leaves just over our head.) Guys, this was VERY romantic - and VERY relaxing....oh, I also had the Bryan Adams song "Anything for You" from the Robin Hood movie playing - sort of one of our songs. * Call up your local barbershop quartet. There are organizations all over the US - you should have no problem finding one locally. One Valentine's Day, I had a quartet go to my wife's work. It only cost me $40 and boy did it go a long way! When they arrived (just before closing time at 5:00) at the mortgage firm, I was told that nobody in the office had received any flowers or anything. By the time the quartet got there, all donned in their straw hats and striped shirts, all the women of the office gathered around while they sang a couple of love songs to my wife and gave her a flower before they left. Very Cool! * If you know of someone who speaks French (or brave enough to ask a University or High School professor...) have a poem translated in French. If you can take it further, have them tape their voice saying poem in French. Practice it over and over until you got it down so it sounds nice. * Put a special ad in the love section of the local paper. It could an intimate message or their next clue. * Put rose pedals on the bed - as neat as it might sound...trust me on this one...they natural oils from the pedals will stick to everything. 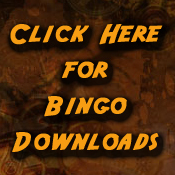 * Write a message or map on the BACK plain side of a 12 piece kid's puzzle. Put the puzzle upside down together first. Then draw away. You could have them receive puzzle pieces throughout the week before in creative different ways (i.e. mail, cooworkers, on their car, etc.) or they could search for them as part of their hunt. Make sure that the 'key' piece(s) are found last. * Have the waiter at the restaurant bring over a secret or urgent message (depending on your theme). This works especially great if you know of anyone that is a waiter who could help you plan this one. * Use a polaroid camera to go somewhere special/scenic to have their picture taken. Have someone standing in the bushes at the time. When you ask an 'innocent' stand-byer to take the picture, the person comes out of the bushes and holds up a sign over your heads. It could be an intimate message or another clue. * Make up a tape of songs that either are special to you as a couple or songs that bring back memories of a specific time or location. They could listen to the songs and keep track of either where they were when that song became significant or other such clues.